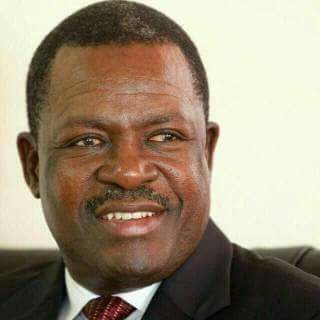 The National Pension Scheme Authority (NAPSA) has sued Rainbow Party leader Wynter Kabimba for failing to settle rental arrears and service charges amounting to over K315,000. According to an affidavit filed in the Lusaka High Court, commercial registry, NAPSA has cited W. M. Kabimba and Co as a tenant at Plot number 6131 Godfrey House, Longolongo Road, Lusaka at a monthly rental of K7,515.14. NAPSA head of real estate Butete Kaliye stated that Kabimba’s law firm had use and occupation of the applicants’s premises from 1996 to date. The applicant stated that during the period the respondent had been in occupation of the premises, he has been inconsistent in paying rentals and service charges as agreed between the parties. Kaliye stated that demand letters had been issued urging the respondent to liquidate outstanding rental arrears and service charges but that he has unjustifiably refused, failed or neglected to honour the demands. The applicant stated that due to Kabimba’s non-payment of rent and service charges, they had to use funds from other sources to pay for the services being consumed by the respondent so that the services at Godfrey House were not interrupted, thereby inconveniencing other compliant tenants. The applicants stated that Kabimba’s continued stay in the premises had deprived them of the much needed investment returns. “The applicant is entitled to recover the monies that it has been deprived of by the respondent as well as possession of the premises from the respondent, ” stated NAPSA.